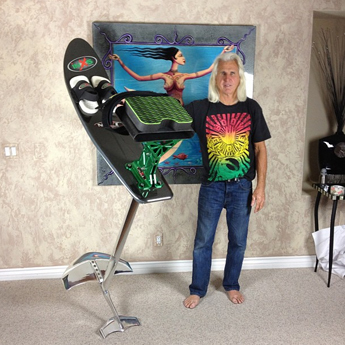 It certainly helps that my uncle Mike Murphy co-invented the original Air Chair in 1989, and that he has been the owner or co-owner of every one of the major foil manufacturers (Air Chair, Sky Ski and currently Next Foils). Mike had a hand in every part of my current set up. My current ride is a combination of Sky Ski and Next Foils parts. Strut and Wings: 2 Piece Billet, anodized. (Circa 2000) This strut would be considered short by today’s standards, but I am perfectly in tune with this ride after 15+ years. I’ve been testing many of Mike’s new foils, and they have even better pop than my current foil set up, but I have yet to find the perfect replacement. Sky Ski Deck: Carbon Fiber Pro Model (circa 2000). This deck is lightweight and a solid performer. 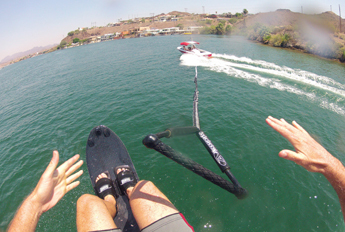 It has great release off the water for my combo tricks. 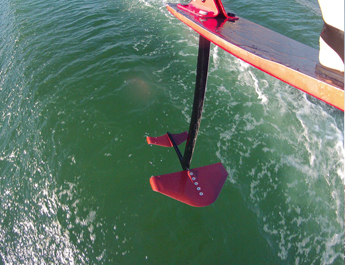 Rubber Bindings: I’ve got a thing for rubber (including slalom ski bindings). It always feels like a better connection to the board that translates into better control. They do occasionally break which is the one drawback. Flex Tower by Next Foils. Uncle Mike’s new tower is the best one I have ever ridden. I was off the grid for a long time, using a kitchen cutting board on top of a Sky Ski rock tower for years. The Flex Tower is so much better. 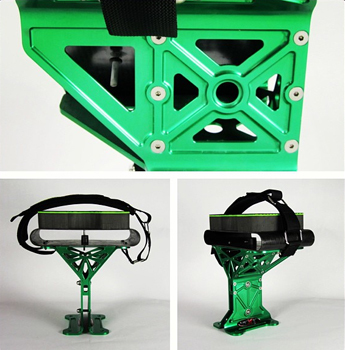 It has controlled take-offs and smooth landings. It’s so good I just forget about it and ride. 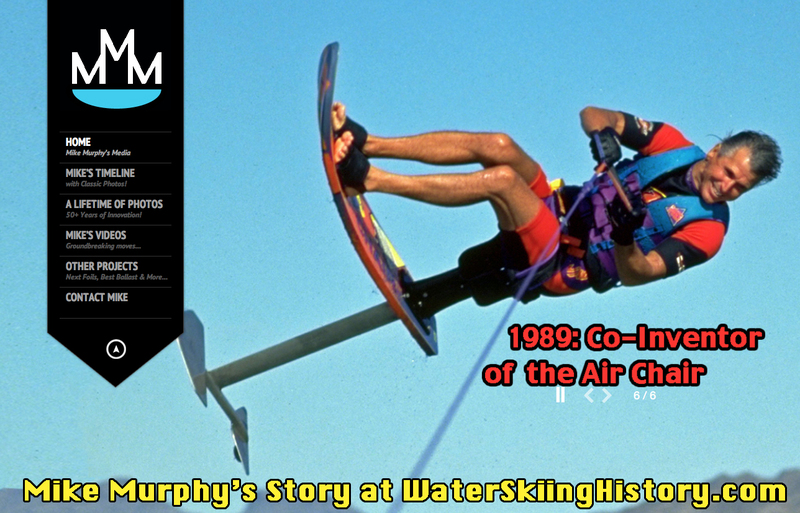 Click image for Mike’s stories history in water skiing. Timeline, photos, videos & much more!